On-premises and remote IT-as-a-Service cloud solutions provide the flexibility, scalability and agility that businesses need to compete. Cloud solutions can increase business performance and productivity, while controlling costs and maintaining enterprise-grade security and manageability. 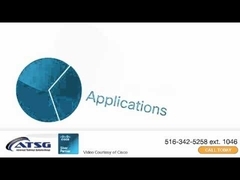 ATSG has the skills and experience to meet all of your Cloud Solutions needs. Infrastructure-as-a-Service (IaaS) is a provisioning model in which organizations outsource the equipment used in IT -- including storage, servers, computers, and networking equipment. IaaS is typically accessed by users with a Web browser. It reduces IT support costs by eliminating hardware maintenance and upgrade costs. 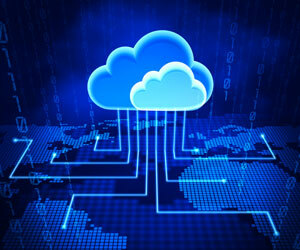 Payment for IaaS services is on an as-used basis. In today's market there is increasing demand to reduce IT Infrastructure costs and recurring maintenance costs of managing infrastructure. 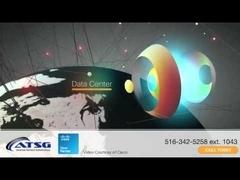 ATSG can assist you in reducing these costs with our complete Infrastructure-as-a-Service offering. If you choose not to implement complete IaaS, then we can provide you with a Hybrid IaaS -- leveraging the benefits of both cloud and procured infrastructure to best meet your company's needs. Software as a service (SaaS) is a software delivery model in which software and associated data are outsourced and hosted on the cloud. SaaS is typically accessed by users with a Web browser. It reduces IT support costs by eliminating software support and maintenance, including patches and updates. Payment for SaaS services is on an as-used basis. Are you finding that you can't keep up with security rollups and hotfixes? Are the on-going maintenance costs for your server environments consuming too much of your IT budget? Do you struggle to keep all your software and OSs up to date? ATSG's Software-as-a-Service offering can help you solve these problems. Moving your server infrastructure to the cloud can give you immediate ISO security and SSAE 16 compliance. 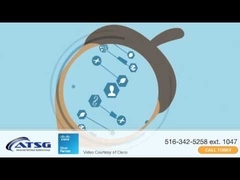 ATSG's SaaS can help free up valuable IT staff time to address other more pressing issues. Collaboration-as-a-Service (CasS) is a cloud solution that provides an outsourced subscription-based integration of IP Telephony, Presence, Mobility, Web meetings and more -- including applications and management software. CaaS is typically accessed by users with a Web browser. It reduces IT costs by eliminating equipment support, maintenance and upgrades. ATSG's robust offerings in the CaaS space range from complete Hosted Collaboration Solutions (HCS) to several tiered hybrid solutions -- ranging from partial on-premises equipment to full on-premises equipment with complete management. This range of CaaS solutions allows ATSG to meet the needs of any requirement or budget in the Unified Communications market.